Work at Home Moms are small business machines. They do everything from hand-making their creations, running shops, shipping and even managing social media accounts like facebook. Unlike a big company that has products made by factory workers, WAHMs personally make each and every item they sell. Purchasing from a WAHM helps small businesses thrive, supports families and provides you with something custom and amazing to add to your stash. 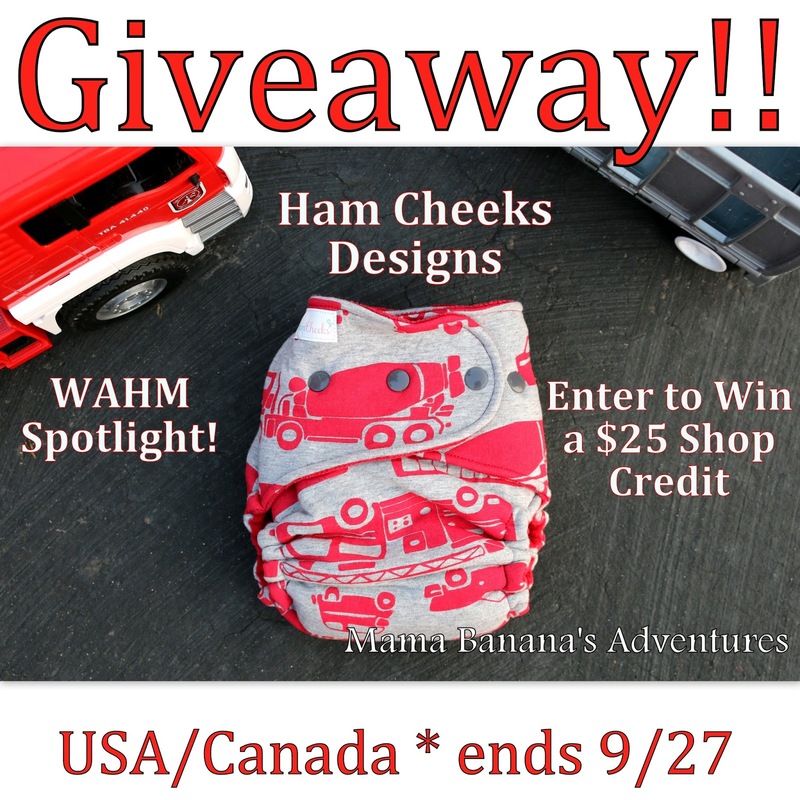 Ham Cheeks is a Mom-run shop right here in the USA! A proud Mom to 3, this shop owner works hard for and is inspired by her customers. 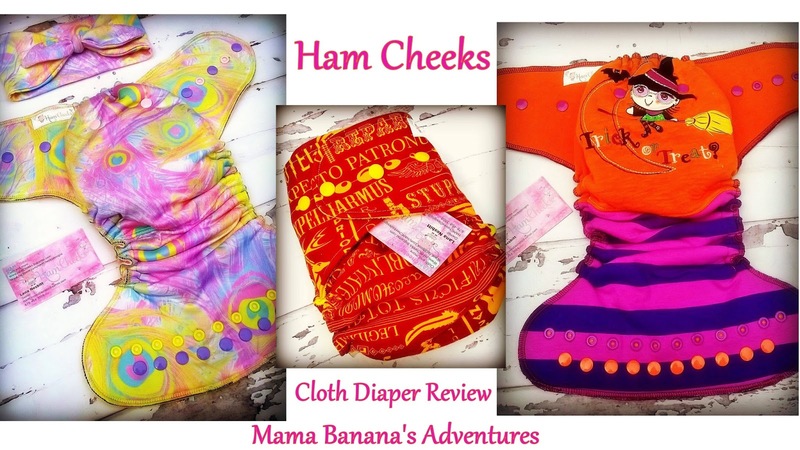 Check out the Ham Cheeks Hybrid Fitted Review to see some of her work and stop by to enter to win something of your own! I would love to try this family's beautiful diapers! I like all the unique prints Ham Cheeks has to offer! Thank you so much for your giveaway!